Not only is Free Comic Book Day around the corner (May 6! ), we are in early stages of the big summer events from Marvel and DC. I tend to buy the hype early and end up disappointed, so I hope this year is different. It am intrigued by both and hopeful that they will hold my interest throughout the summer. Redneck #1 - This week we are gifted a dark, new vampire title from Skybound and Donny Cates. The Bowman family and Landry family have a history of bad blood between them that goes back generations. If the first issue is any indication, we are embarking on a new feud that will severe consquences. Having been in this small East Texas town for hundreds of years, the Bowman family has learned to live a quiet life in the country devoid from human consumption. The family does not attack humans and hints to a time when they were hunted. It looks like there was some sort of truce that was formed to allow them to live in solitude. In this first issue we are introduced to this gritty world that feels like a cross of True Blood (minus the cheese) and Southern Bastards. This series looks very promising and Cates does a great job establishing tension and drama in a short amount of time. Looking forward to this one. 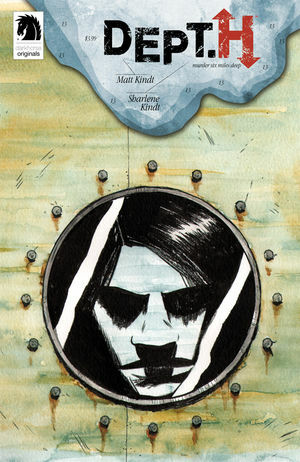 Royal City #2 - Jeff Lemire's new drama continues this week as we learn more about the eclectic characters and the dysfunctional relationships that bind them. While I am not sure if this is a good comparison to make yet, this series feels a lot like the Royal Tennenbaums. The characters are good people, but they are not without flaw and are dealing with complicated issues on an individual and family level. The patriarch of this group suffering a stroke has brought back most of them to Royal city and it will be an interesting read to see how it all comes together. Dept. H #13 - I am not anywhere near to winning the super-deluxe Junior Deputy Detective badge that Matt and Sharlene Kindt are offering the first reader to successfully solve this underwater whodunit. There are some good theories, but I find myself questioning more people as I learn more with each issue. I guess this is the sign of a good murder mystery and it will hopefully all come together soon. For now, Mia and the remaining survivors must successfully surface after being exposed to a contagion, despite the threat of being fired upon if they should surface. Lots of drama, lots of questions, and a series I should reread in hopes of obtaining a badge! 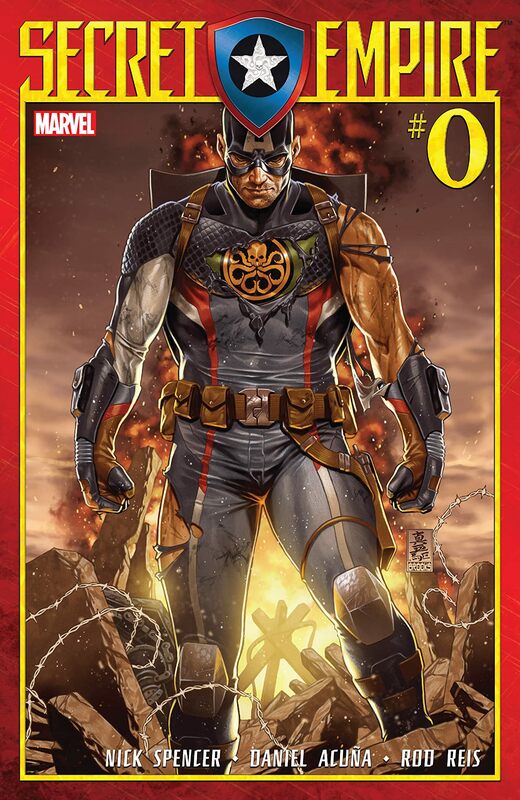 Secret Empire #0 - The introduction to the next big Marvel event is here and it is one that I am quite excited about. Captain America, still believing he is an agent of Hydra, has declared war on the Marvel Universe. It is odd watching Steve team up with Zemo and others, but the ramifications that this could have are huge. I personally enjoyed the twist that Nick Spencer dropped when Cap uttered those infamous words, "Hail Hydra." This sets the scene for the event that I think will kick off on Free Comic Book Day next month. Daredevil #19 - We are closer to learning how Daredevil was able to put the cat back in the bag in regards to everyone knowing his secret identity. Killgrave has trapped his children in a machine in an attempt to usher out his mind control at an unforeseen scale. 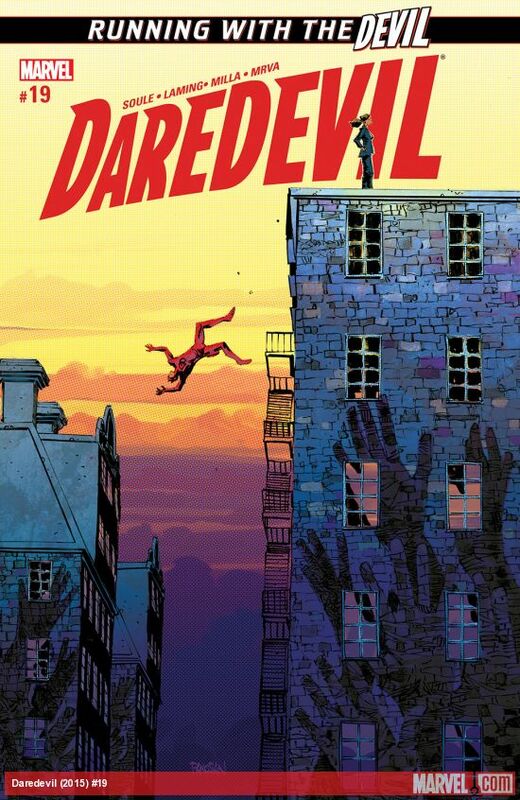 Daredevil shows up trying to stop Killgrave, but must first work his way through the mind games that Killgrave is playing with him. It is difficult to determine what is real and what is due to Killgrave's ability. While we don't quite understand yet how it all happened, I look forward to seeing how Killgrave and his children played a role in altering the minds of an entire world. Batman Rebirth #21 - The Button part one is upon us. DC's big crossover event kicked off in Batman this week as Bruce attempts to uncover the mystery of the Watchmen button that they found in the cave when Wally appeared. While waiting for the Flash to arrive, Batman is greeted by Reverse Flash and a brutal fight takes place. Not much is revealed in this issue, but a lot of questions are asked. Where did this button come from? Why did it react to Psycho-Pirate's mask? There is another surprise that I won't spoil, but this definitely has a summer event feel to it and I hope that the inclusion of the Watchmen goes better than the last time I read modern takes on that series.